A packed conference room was the setting for this week’s meeting of the States’ Rights Committee of the State House of Representatives. The committee convened this afternoon to consider a slate of several proposed measures. 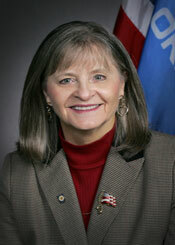 One of them was House Bill 1412, the proposed new Anti-UN law authored by Rep. Sally Kern (pictured above). HB 1412 was approved by the committee on a party line vote, 9 to 4. Voting against the bill were Representatives Ed Cannaday (Porum), Kay Floyd (OKC), Kevin Matthews (Tulsa), and Mike Shelton (OKC). These hardy souls deserve our thanks and encouragement! According to House Rules, the bill will now advance to the House Calendar Committee. (More on that in a future post). Committee chairman Lewis Moore invited Rep. Kern to offer a description of her bill, which she said was intended to raise awareness about “United Nations Agenda 21 Sustainable Development.” She described Agenda 21 as a comprehensive plan of extreme environmentalism, social engineering, and global political control. Many of the components of Agenda 21, she said, were first implemented by the federal government under the administration of President Bill Clinton and President George H.W. Bush. Rep. Kern said HB 1412 was designed to raise awareness about the threat to individual property rights that is (in her mind) posed by Agenda 21. After some initial questioning by the members of the committee, Rep. Moore allowed ten minutes for public comments on the bill. Bill Bryant, president of the Oklahoma City chapter of the United Nations Association, reiterated the Talking Points that have been offered on the pages of this blog. Opposing points of view were offered by 4 Anti-UN activists. Then, Rep. Moore allowed 4 minutes for members of the committee to debate the bill. During the debate and question portion of the hearing, the Democratic representatives led the fight against HB 1412. Rep. Floyd argued that there are existing protections in state and federal law that effectively guard against infringement of property rights. In response, Rep. Kern replied that HB 1412 is needed because it will “raise awareness” about Agenda 21. Rep. Floyd also questioned the vague language of the proposed law. She asked Rep. Kern to explain how Oklahoma citizens could know which public policies can be traced to UN Agenda 21 — since Agenda 21 is a 300+ page document covering a variety of subjects. Rep. Floyd expressed concern that local elected officials, public administrators, and others would not automatically know how to determine a connection between their local sustainability policies and Agenda 21. There is no easy way to discern such linkages. A similar concern was raised about the portion of HB 1412 which would prohibit public commerce with non-governmental organizations (NGO’s) which are “accredited” by the United Nations. Rep. Kern was asked if she has an inventory of which organizations would be included on this potential blacklist. In reply, Rep. Kern said such a list exists, and there are about 600 organizations on it. But, she did not bring a copy of the list to the hearing. 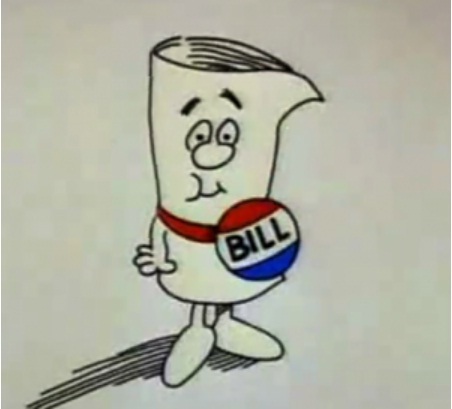 Observers were left to wonder about the scope of the bill’s prohibitions. Rep. Cannaday asked Rep. Kern about her motive for introducing HB 1412. If her purpose is to raise awareness, he asked, why was her measure introduced in the form of a proposed addition to state statutes rather than a simple resolution? And, if she intends for the measure to have the force of law, why does the bill not describe any penalties for violations of the law? Rep. Kern replied that her measure was designed to have more impact than a simple resolution. Penalties, she said, could be added by future legislation. Rep. Matthews asked if the proposed law didn’t amount to state interference in the public policy decisions of local governments. Rep. Kern insisted her bill would protect local cities and counties from interference by the United Nations and its “accredited” NGO’s. “Was HB 1412 requested by the Oklahoma Municipal League?,” Rep. Cannady asked. No, said Rep. Kern. She did not ask the OML to support her bill, and they have not approached her. Rep. Kern insisted that HB 1412 would not impact the ability of state universities and public libraries to acquire knowledge resources from UN agencies because libraries and universities do not make public policy. All in all, the results of the committee’s vote were quite disappointing. The next stop for HB 1412 will be the Calendar Committee of the State House of Representatives. More information about the Calendar Committee will be featured in a future post on this blog. This is not the end of our efforts to oppose House Bill 1412! Reserve Your Ticket Today with our Online Form! If you’re a member or friend of the United Nations Association of the USA, you’re invited to our annual Spring Luncheon in Oklahoma City on Saturday, March 23rd. Pre-registration is required. The regular price of a ticket is $20, and we have some free tickets available for students. Our annual Spring Luncheon is a great opportunity to enjoy the company of other members and friends of your UN Association. Meet new people. Enjoy good food. Participate in the life of our Oklahoma City chapter. This year’s luncheon will take place at the Raindrop Turkish House, 4444 N. Classen Boulevard. Our friends at the Turkish House are preparing a wonderful meal in a pleasant, comfortable setting. Dishes will include Eggplant / Meatball Kabob, Rice and Tabouli, Vegetarian Mixed Vegetables, and Lentil Soup. To quench your thirst, ice tea and water are on the menu. There will also be self-serve coffee. For dessert, it’s Baklava! We are proud to announce that our luncheon program will include a panel discussion on the “Shot at Life” campaign of the United Nations Foundation. Shot at Life is a movement to educate, connect and empower Americans to champion vaccines as one of the most cost-effective ways to save the lives of children in developing countries. By encouraging Americans to learn about, advocate for, and donate to vaccines, Shot@Life aims to decrease vaccine-preventable childhood deaths and give every child a shot at a healthy life. Juliet Abdeljawad — A recent graduate of Oklahoma State University, Juliet is a volunteer member of the board of directors for our local chapter of UNA-USA. Last year, she had an internship assignment with the State Department. She worked at foreign service locations in Geneva (Switzerland) and Alexandria (Egypt). Priya Desai — Besides serving as the volunteer Advocacy Director for our local chapter, Priya is a young professional and a volunteer with the Oklahoma chapter of the National Association of Social Workers. She holds an MSW degree from the University of Oklahoma, and she’s an ’04 grad of Midwest City High School. Last year, she represented our chapter at the UNA-USA Annual Meeting in Washington, DC. Charles Swanson — A student at Oklahoma Christian University, Charles (aka, “C.J.”) describes himself as a Social Capitalist. He has volunteered and interned for several non-profit groups, including World Vision and Wishing Well. Last summer, he attended the Social Innovation Summit at the United Nations & J.P. Morgan. The panel discussion will be moderated by Michael Korenblit, president of the Respect Diversity Foundation. “Shot at Life” also educates and raises awareness about the importance of childhood vaccinations for everyone — including here in Oklahoma where we live. We would especially like to invite physicians, nurses, public health professionals, medical students, Rotarians, etc., to enjoy a good meal and a good program with us. Do you have to be a member of UNA-USA to attend the luncheon? Heck, no … Everyone is welcome! Do you need to reserve a place for yourself and your friends? Yes, indeed … The good folks at the Turkish House need a head count in advance of our event. How much are tickets? $20 each. There are 3 ways to reserve your seat: (1) Use our handy-dandy online form; or (2) Reserve your place by sending an email message to Bill Bryant at wildbill73107@cox.net; or (3) Call or text us at 405-760-5322. If you register by phone or email, please be sure to give us your name, a phone number or email address at which you may be reached, and the number of people who will be attending with you. Cash payments are accepted on the day of the event. Are you a student who is struggling to pay for books, tuition, housing, and/or iTunes downloads? Have we got a deal for you! Through the generosity of a long-time supporter of our chapter, we are able to offer a limited number of FREE tickets to our Spring Luncheon. … and, if you enjoy the luncheon, you’ll be invited to join the UN Association at the special student rate of just $10 / year! 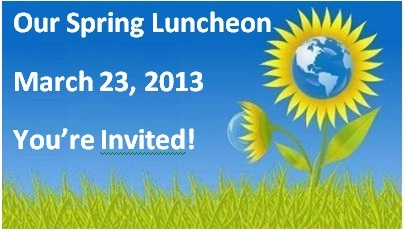 Our annual Spring Luncheon is one of the great events of the year for our chapter of the United Nations Association. Here are 7 “talking points” for the members of the States’ Rights Committee to consider when they vote on House Bill 1412 (Rep. Sally Kern’s bill that would prohibit public commerce with the United Nations). (1) Bi-partisan majorities of American voters support the United Nations. This has been confirmed by public opinion surveys over many years. Most recently, the Better World Campaign reports that, “Eight in 10 voters say it is important for the U.S. to maintain an active role in the United Nations, and further that it is in America’s best interest to continue to actively support the UN.” Members of the States’ Rights Committee who vote “No” on HB 1412 will be representing the majority of Oklahomans. (2) Members of the committee can vote “No” on HB 1412 and still support the due process rights of all Oklahomans. All Oklahomans are entitled to the due process of law. 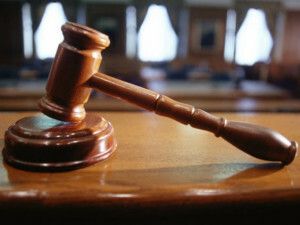 It is a right that is guaranteed by the Fourteenth Amendment of the U.S. Constitution. House Bill 1412 does not add to the protections that Oklahomans already have. HB 1412 is a moot proposition. (3) Members of the committee can vote “No” and still defend the property rights of Oklahomans. The property rights of Oklahomans are not threatened by “Agenda 21,” which is a set of non-binding recommendations and does not carry the force of law. The United Nations is also a defender of the right of people everywhere to own and use property. 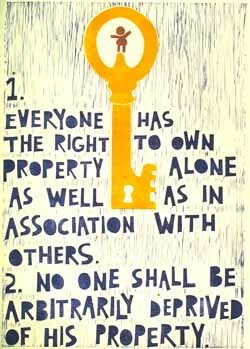 (See “The UN and Property Rights,” on our blog). (4) By voting “No” on HB 1412, committee members will be protecting the intellectual liberty of all Oklahomans — preserving the ability of Oklahomans to benefit from the knowledge resources that are currently available in our public libraries and state universities. HB 1412 would restrict the ability of state universities and public libraries to acquire new books, journals, reports and data sets from the United Nations. (5) A “No” vote on HB 1412 will support the technical and scientific aspirations of our people who seek to expand Oklahoma’s reputation as a World Class place to live and work. (6) A “No” vote will validate the good work and reasonable judgment of public servants in our cities, counties, and state agencies who have suffered from unfounded accusations against their professionalism and integrity. (See “Assurance,” on our blog). intergovernmental organizations accredited or enlisted by the United Nations.” But, the bill does not define exactly which intergovernmental and nongovernmental organizations are included in this prohibition. It is impossible to evaluate the full effect of this proposed law because it is overly broad in its application, and it lacks specificity. We appreciate the good work of the States’ Rights Committee. We trust that the members of the committee will act prudently, rationally, and responsively to the will of all Oklahomans. I have a theory. If you want to know what an organization really stands for, check out their gift shop. The Gift Shop Test has helped me to understand the mission and purpose of many organizations — from the Jenks Aquarium to the Oklahoma City Zoo. The retail display of books and trinkets and souveniers in the gift shop can reveal a lot about the organizational culture that it supports. I mean, it is all very fine for an organization to define its purpose in reports and proclamations, charters and constitutions. But, if you really want to know what message an organization wants you to drive home with, the gift shop will tell. And so, for all those UN Skeptics — for the conspiracy theorists and those who doubt the UN’s commitment to human rights — here is the most tangible evidence I can give you to demonstrate the resoluteness and purposefulness of the United Nations with regard to the protection of individual property rights. It is a refrigerator magnet. (See the image above). I have one of these magnets on my refrigerator at home. You can have one, too, for only $3.95 plus shipping and handling. This is the lodestone of persuasion — the retail confirmation of a commitment that was first expressed by the United Nations on December 10, 1948 (when the UN General Assembly adopted the Universal Declaration of Human Rights). The refrigerator magnet is a symbol and a reminder of the UN’s continuing investment in efforts to defend the human rights of indigenous people, women, religious minorities, people with disabilities, and all people throughout the world — regardless of wealth or status. The conspiracy theorists like to complain that “Agenda 21” is a UN-inspired plot to take away our right to protection under the law. But, then, how do they explain this magnet on my refrigerator? The States’ Rights Committee of the Oklahoma House of Representatives has scheduled HB 1412 to be heard in committee on Tuesday, February 26th. The meeting will be held in Room 512 of the Oklahoma Capitol building at 3pm. If you would like to attend the meeting, you should arrive early and take a seat along the back or side wall. HB 1412 is the second item on the committee’s agenda. We expect House Bill 1412 to be the subject of a full and vigorous debate among the committee members. However, there is no guarantee that any member of the public will be recognized to speak. You often hear how the people of Oklahoma are — or aspire to be — “World Class.” That is, we intend to develop modern schools, universities, businesses, cities, and so on that are on a par with the best on our planet. We want to be recognized around the globe for our innovation and capacity to solve problems creatively. This is a goal on which Republicans and Democrats agree. In the public sector, Governor Mary Fallin says, “State government can’t continue to operate like an 8-track player in an iPod world.” She’s right. There is plenty of evidence that Oklahoma is making its mark on the world. To achieve our goals, we are utilizing knowledge resources from around the world, including the United Nations and an array of non-governmental organizations. We are working cooperatively with global partners. Here’s one example of how we are able to do this. See the photograph above? It’s a picture of an agricultural producer in Africa, a herder in Eastern Zambia. He is getting a weather report in a text message on his cell phone. 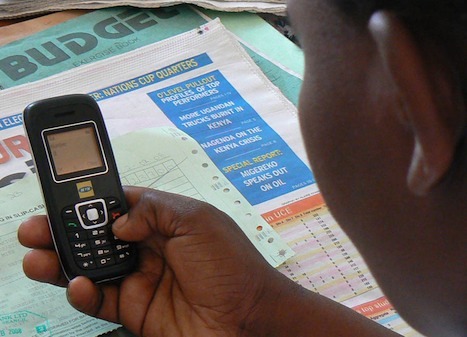 As described in this article from the National Geographic website, timely and accurate advance weather information is helping countless small farmers in rural Africa to become more productive. This capacity is the result of a new technology implemented through the RANET (Radio and Internet for the Communication of Hydro-Meteorological Information) Project. The article acknowledges the current funding and technical partners in the RANET Project, including UNDP, the Red Cross, World Vision, and the National Oceanic and Atmospheric Administration (NOAA). (UNDP, of course, is the United Nations Development Program. According to its website, UNDP pursues its mission by partnering with people “…at all levels of society to help build nations that can withstand crisis, and drive and sustain the kind of growth that improves the quality of life for everyone”). The article doesn’t mention the history of the RANET project — which actually traces back to 1997. OU’s initial participation in the RANET project was funded through a $2.2 million federal grant to the university’s Cooperative Institute for Mesoscale Meteorological Studies (CIMMS). A UN report (PDF) from 2007, “Drought Risk Reduction Framework and Practices,” provides more information on the RANET Project. The UN report also gives credit to “faculty at the University of Oklahoma” for helping to manage the project. Currently, OU’s Cooperative Institute for Mesoscale Meteorological Studies is participating in a couple of newer projects that are similar to the RANET Project. PACRAIN — The Pacific Rainfall Database. This is a project to collect rainfall data from a variety of sources in a large part of the tropical Pacific Ocean. The project makes the data available in an easy-to-use format. SPaRCE — The Schools of the Pacific Rainfall Climate Experiment. This project supports the PACRAIN project by providing a supplemental source of data. Each participating school is sent a rain gage, instructional manuals and videotapes, and data sheets. Students at the schools record daily rainfall measurements and return the forms to the University of Oklahoma, where they are entered as a part of the PACRAIN database. Ultimately, the data that is collected and compiled through these OU projects helps scientists and students from around the world to understand climate-related issues that are global in scale. As described in the quarterly journal of the SPaRCE Project (“The Pacific Tradewinds Quarterly”), the rainfall data compiled at OU helps to support important climate research and climate forecasting activities. The OU projects work collaboratively with another UN-related initiative — the Pacific Island Global Climate Observing System (PI-GCOS) program — to ensure that the data collection efforts of the world are at their best. The PI-GCOS program is co-sponsored by several international organizations — including the World Meteorological Organization (WMO), UNESCO’s Intergovernmental Oceanographic Commission, and the United Nations Environment Program (UNEP). (WMO, UNESCO, and UNEP are specialized agencies of the United Nations). All of this serves to illustrate how Oklahoma scientists and database administrators are making important contributions to the knowledge resources of the world. Further, it highlights how this essential work at the University of Oklahoma is connected to the important activities of UN agencies like UNDP, WMO, UNESCO, and UNEP. By engaging in these World Class projects and others like them, the University of Oklahoma is bringing real benefits to the people of our state — including research funding ($14 million annually in the School of Meteorology) and opportunities for valuable learning experiences for OU students. Finally, this example helps to show how the 4 Anti-UN bills that are currently in our State Legislature offer the wrong approach for Oklahoma. By prohibiting public commerce with UN agencies, they would undermine the efforts of Oklahomans to build a World Class place to live and work. Then, shortly before the 3pm start time of the committee meeting, an announcement was made that the meeting was cancelled. It will be re-scheduled for a future date. House Bill 1412 is Rep. Sally Kern’s proposed new law to restrict public commerce with the United Nations and with an ill-defined group of non-governmental organizations. By prohibiting state and local government agencies from acquiring knowledge resources from the United Nations, House Bill 1412 would strike a harmful blow against students, teachers and researchers in our state. We urge the members and friends of the United Nations Association to contact the members of the States’ Rights Committee to express your opposition to House Bill 1412. (A list of members appears below). Time after time, public opinion polls have shown that Americans appreciate the contributions of the United Nations to the peace and security of our world. The members of the United Nations Association will continue to defend the intellectual freedom that is currently enjoyed by the people of our state. And we will continue to promote positive American leadership in the United Nations. A total of four anti-UN measures are pending in the State Legislature this year. The following message is being sent to members of the States’ Rights Committee of the Oklahoma House of Representatives. I am writing in regard to House Bill 1412, which is Rep. Kern’s proposed new law to restrict public commerce with the United Nations and with non-governmental organizations that are accredited by the UN. You deserve to have the confidence that public administrators, state agency directors, municipal managers, etc., are closely adhering to the laws of our nation and our state when they take any policy action affecting the citizens of Oklahoma. Further, you should be able to have this assurance and this confidence without sacrificing our access to any of the valuable knowledge resources of the United Nations that are currently available to Oklahoma citizens. Consequently, I hope you will support a full discussion of HB 1412 when it is brought up for consideration in the States’ Rights Committee on Tuesday. And, I hope you will examine the potential negative results for our state if it is ultimately approved. If you examine HB 1412 carefully, I am convinced that you will vote against this proposed new law because: (a) It is not needed; and (b) It would actually harm the intellectual freedom that we currently enjoy. (1) I encourage you to examine Interim Study 12-084, which is the study that was conducted by Rep. Kern last year. As a result of Rep. Kern’s study, a 2-page report was produced. (A more complete description of the Interim Study’s evidence is given below). It is notable that the Interim Study did not include the testimony of any state agency head nor any city manager nor county commissioner. It did not include any evidence from state or municipal employees complaining that they are being required or mandated or coerced into implementing UN policies that are contrary to state or U.S. law. The report did not include any evidence from the State Auditor and Inspector. It did not include any complaints from the office of the Attorney General. It did not include any statement from the office of Gov. Mary Fallin — even though a representative of the Governor was present when the Interim Study report was delivered to the House Judiciary Committee last October. In short, the Interim Study did not produce any direct evidence of UN interference with the operation of any political subdivision of our state. (2) Beyond the lack of evidence of UN interference in the Interim Study Report, there is actual testimony supporting the UN’s record of non-interference. This countervailing evidence is in the form of public comments from municipal officials who have been quoted in the news media. In response, city leaders publicly disavowed any connection between the United Nations and their own municipal efforts. You may also want to consider the statement of Russell Claus, the planning director for the City of Oklahoma City. He is familiar with the allegations that honorable municipal officials have been the tools of unseen UN bureaucrats. “It’s an insane conspiracy theory that has no merit in fact,” he said. So, if you believe knowledgeable people like Russell Claus and Dan O’Neil and Shannon Entz, you have reliable testimony to conclude that the United Nations is not manipulating decision makers in our state agencies and local governments. (3) You might also wish to consider that the United Nations itself is a defender of the right of people everywhere to own and use property. Please refer to the article on “The UN and Property Rights” that has been published on the blog of the United Nations Association, Oklahoma City Chapter. (4) You might also consider that the United Nations is an institution that is founded on the basis of national sovereignty and the rule of law. Without those two basic concepts, the legitimacy of the United Nations would crumble. So, as a matter of principle, the UN would not attempt to govern or direct or mandate the actions of any political subdivision of our state. (5) As a further assurance, you should examine Agenda 21 with your own eyes. You should review the structure and language of the report. You can find a link to it here. 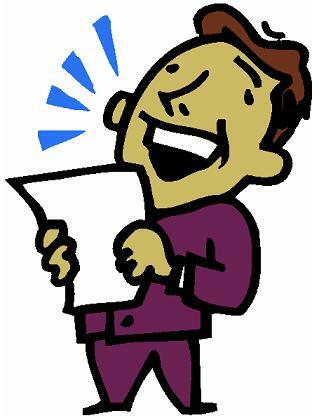 You can notice for yourself that the document is not written in the form of a law or a treaty or a set of regulations. Rather, it is an outcomes document — a set of non-binding recommendations representing the consensus opinion of 178 nations of the world. It is not a manifesto that you would use to bring all activities of the planet under your control. But, it is a document that could be used as a starting place for further discussion. If there is ever a time when you believe that a United Nations office or official — any UN agency or representative, etc. — is seeking to compel you to follow a course of action that is at odds with the laws or Constitution of our land, please let me know. If there is ever a time when you perceive that the United Nations is attempting to coerce you to take an action that is contrary to the interests of the people of our State of Oklahoma, I would like to be informed. I ask this because I believe the United Nations does not exist to undermine the legitimate powers of any city or county or state or nation. On the contrary, over the course of 67 years, the United Nations has a long-established track record of promoting statehood for people around the globe. And it has consistently invited nations to freely exert their powers by entering into treaties and other international agreements in support of orderly trade, security, etc. Moreover, it is a fundamental goal of the UN to support human rights and freedom — as stated in the original Charter of the United Nations. In short, I would simply ask you to make a full disclosure of any attempt by the United Nations to usurp the authority of the Legislature or the sovereignty of our people. I’m confident that this will be, as a matter of fact, one of the least of your worries while you are in office. If you have any questions about UN Agenda 21, the UN Conference on Environment and Development, the Universal Declaration of Human Rights, or any other document produced by the United Nations or any of its agencies, please feel free to let me know. 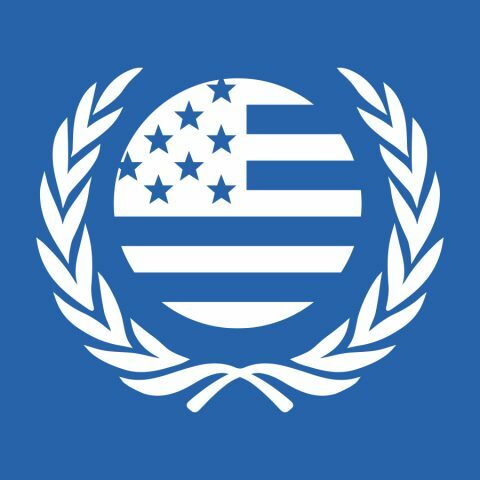 The mission of the United Nations Association is to educate about the good work of the UN and to advocate for American leadership in the world’s most important international organization. Thank you for your service to the people of our state. Here are links to the testimony that was gathered through Rep. Kern’s Interim Study. This is a 6-page summary of an original powerpoint presentation by Robert Semands. This document is titled, “UN Agenda 21 Sustainable Development: A Threat to Private Property Rights?” It includes a general description of “The UN and Private Property Rights,” ICLEI, the UN Biodiversity Treaty, the Delphi Technique, Conservation Easements, Smart Meters / Smart Grids, and Activism. 5 people were notified of the Interim Study meeting. We’re watching 4 proposals in the Oklahoma Legislature that would jeopardize intellectual freedom in our state. These measures would have the effect of restricting public access to the knowledge resources of the United Nations. The 4 measures are SB23, SB53, SJR2, and HB1412. Each one has an Anti-Knowledge flavor. Each one is based on a false premise. None of these measures has been voted on yet. The first three have been assigned to the Energy Committee of the Oklahoma Senate. The last one has been assigned to the States’ Rights Committee of the Oklahoma House of Representatives. (Yes, we have a States’ Rights Committee in the Oklahoma Legislature; it is new). To oppose these bills, our plan of action is to engage (in a friendly way) the members of these committees with the goal of persuading them to vote down these Anti-UN measures. Intellectual Freedom … A description of Senate Bill 23 and how it would restrict access to knowledge resources from the United Nations. (Senate Bill 23 is practically identical to SB53, HB1412, and SJR2). The UN & Property Rights … A 2-page fact sheet that challenges the underlying assumption of these measures. 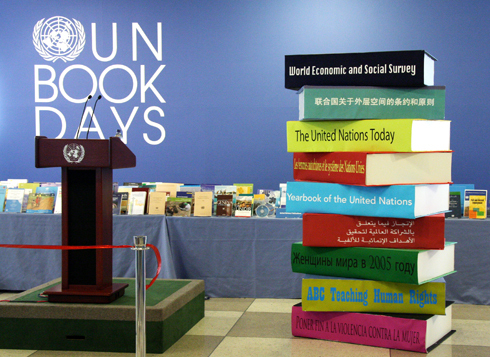 The Value of UN Resources … A sampling of some of the ways in which knowledge resources from the UN help to benefit the health, safety, and cultural richness of all Oklahomans. Feel free to forward theses fact sheets to the committee members or just compose your own message to send. On behalf of the OKC Chapter of the UN Association, I have already written to most of these people. I have tried to explain how they can support the future progress of our state by opposing SB23, SB53, SJR2, and HB1412. I have asked them to preserve the intellectual freedom that is currently enjoyed by all Oklahomans. These folks need to hear from you as well. I want to be clear that none of these bills has yet been scheduled for a hearing. When they are brought up for discussion in committee, we won’t get much advance notice — maybe a day or two. To be sure that our message is heard, we need to start now with letters, emails, phone calls, etc. If you have questions or anything, please be sure to let me know.